​To assist you better with this issue, would you mind providing us the url of your site with login credentials so we can take a closer look? Thanks for providing the information. Please set the minimum width and change the positioning of the items inside. For the sub menu indicator, please check your margins. Negative margins will likely be place the arrows behind the text. Thanks for checking that. I tried that but didn't get fit the arrow to show the submenu shows up within text. Would you mind doing that for me? I have made the changes. Please check your site now. Thank you so much for that. I was unable to find the submenu arrows and the icons with menu. Could you let me know so for next time, I'll do that on m own? Also, in the submeu that's getting more than the text is that reduceable from options? The more space the mneu has? Please check the attachment. Much appreciated your help, thank you again. Thank you! Worked. I'm trying to remove this marked space. Where is this? It's top links Min width. Setting that to 0 still there's some space. Can you take another look please? I checked and it seems to be okay, there is no varying size of gaps between the items. Perhaps you already fixed it? Thanks for checking that. Sorry these are icons which are showing that gap. Can you let me know from where I could change the background and interacion color of them? Also, If you just check the footer right below the white line there's another much-darker line is showing up, how to remove that? Go to Menu > Top Links > Graphic and change the colors. 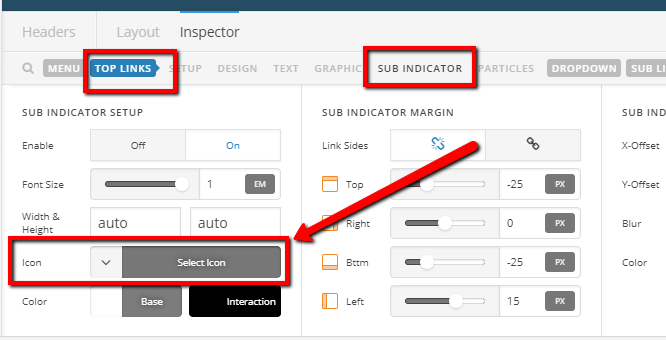 For complete information, please see the Navigation Inline usage instruction in our Knowledge Base. For the footer, set the bar's box shadow to transparent. Thank you, that worked. 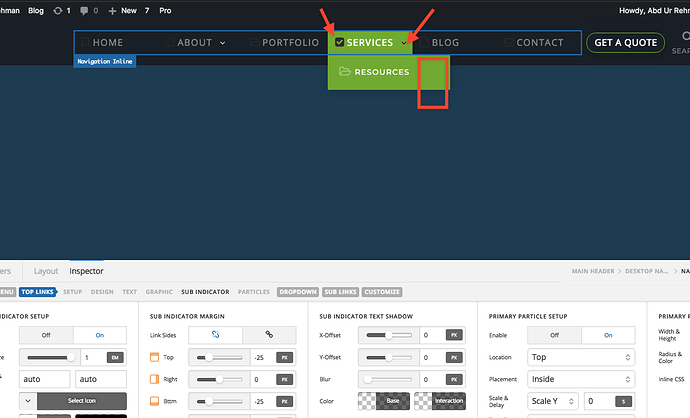 About the footer, I have that already but still, that's showing Have no cache plugin. Could you check that, please? 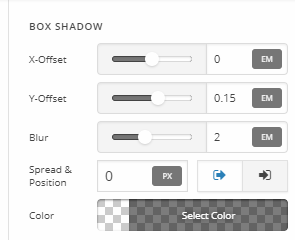 I went to your website and made all the options of the Box shadow 0, also did that for the Bar below the CTA and now it is working ok.
Kindly do not add additional questions here as it is getting very hard for us to follow up. Kindly open up a separate thread for each question to help us identify the problem easier and focus to serve you the best. Thank you for your understanding and cooperation. Merry Christmas.